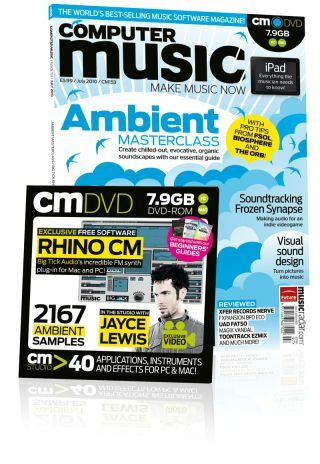 Computer Music 153, July issue – On sale now! • The sky's the limit with our step-by-step guide to atmospheric production techniques for the chillout room. Includes tips from FSOL, The Orb and Biosphere! • Big Tick Audio RhinoCM: Incredible FM synth plug-in for Mac and PC!